Having relatively large egos and short tempers, we tend to get very annoyed when sitting in any shared-armrest kind of situation. Airplanes, movie theaters, waiting rooms…they’re all enough to cause conniption fits. 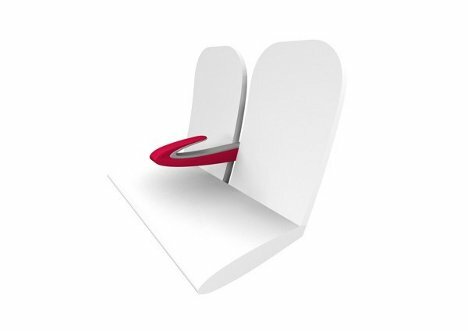 The Paperclip Armrest concept from designer James Lee is a surprisingly simple answer to the widespread problem of who gets the armrest. The clever design has two levels, letting one person put their arm on top and the other on the bottom. Of course, you still have to be uncomfortably close to the other person in order for this concept to work. Like, high likelihood that your arms will touch kind of close. 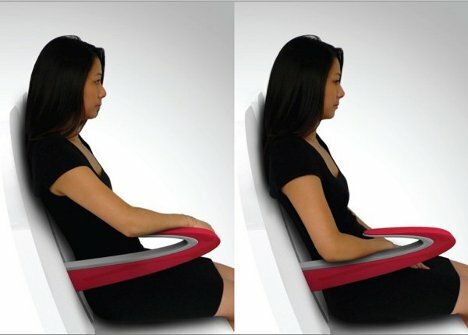 But if you’re desperate for a place to put your arm or just don’t care about the possibility of literally bumping elbows with your chair neighbor, this is maybe the best advancement to hit chairs since padded seats.